Come and make your holiday memories here. This is a lovely modern property. Fully fenced so child and pet friendly. Walking distance to beach, cafe and parks. Ohope is an excellent place for all of the family to have fun. The beach and the harbour provide hours of fun, excellent fishing and water sports. Come and explore this region of New Zealand with an extremely comfortable place to temporarily call home. The property has everything you need for your holidaying pleasure. **** Please note that this accommodation also has a 3 bedroom attached house upstairs. Both can be booked together making it ideal for larger groups and families. Sleeps a total of 15 people. Please see listing #37070. A friend and I stayed at this lovely little unit for a week while enjoying the fishing and the lovely beach that Ohope has too offer. Plenty off street parking for the boat and large lawn area for relaxing, a stones through away from the beach which was enjoyable for a evening walk with the dog. Spacious living area and kitchen with excellent facilities, very clean and tidy. The owners of the property were fantastic, I had booked to come too this property back in January but couldn't make it due too a family loss. Gavin the owner was absolutely brilliant and offered me a free week any time during the year. Although he was not obligated too! It clearly shows the true character of this couple thank you. I will definitely be back and have told all my friends. Clean, well stocked, although you need to remember your own towels. Property was perfect, comfortable and excellently located by the beach. 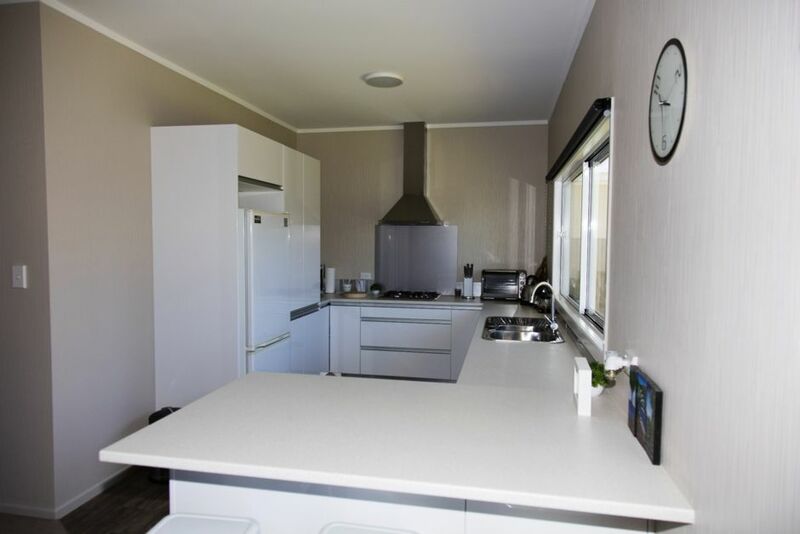 This is a beautifully presented property, with what looks like a brand new Kitchen, which is well stocked with everything you need for a long or short stay. Steps away from the beach, and extremely well fenced just perfect for families or If like us you have a fur baby and want to bring your pupperino along ( he loved it !!) Highly recommend booking here. Thanks Gavin !!!!!!! !